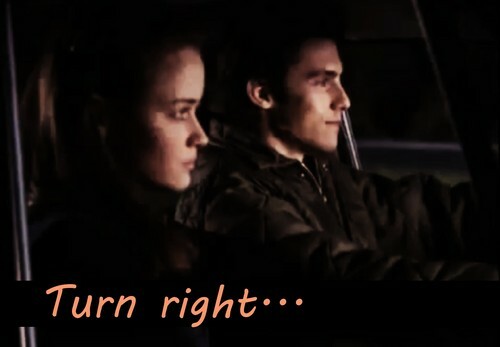 Turn right. . HD Wallpaper and background images in the Rory and Jess club tagged: gilmore girls jess mariano rory gilmore jess and rory fan art alexis bledel car crash. This Rory and Jess photo contains concierto, pianista, acompañante, and accompanyist. There might also be signo, cartel, texto, pizarra, and letrero.